Add new life to your leather flight jacket with a new zipper! Is your favorite leather flight jacket’s zipper giving you trouble? If so, replace it with our genuine US Military brass replacement zippers. These zippers are made specifically for military A-2s and G-1s by one of America’s leading flight jacket manufacturers, so their quality and authenticity are assured. The A-2 zipper (smaller zipper) will replace the zipper of any A-2 or USW Indy Jones jacket, while the G-1 zipper (larger zipper) will replace the zipper of any G-1, G-2, leather B-15, USW 1845, or 2307 jacket. An economical way to add years of life to your favorite leather flight jacket! . Zipper should be installed by a professional seamstress or tailor. Made in the USA. 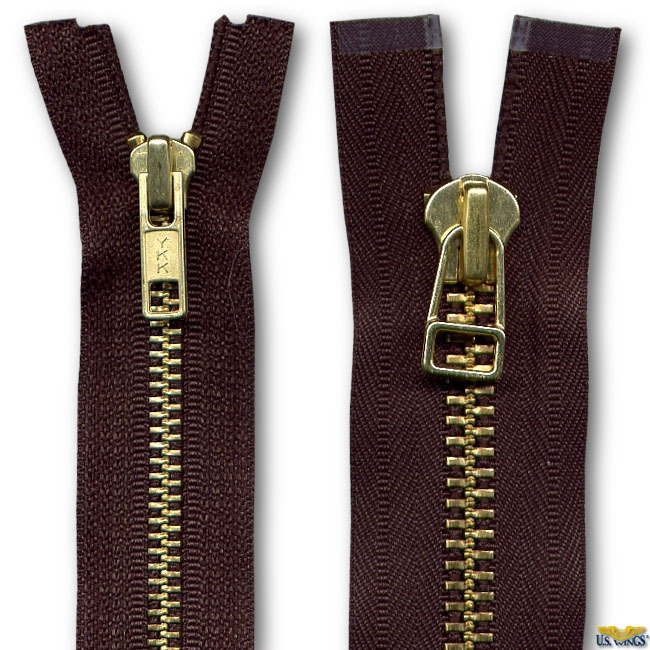 We can replace your zipper! Download, print, and fill out the repair form. Ship the form with your jacket.